Young Teens is an interesting market. Why did you choose that? I think there is a real danger that in a few years’ time people simply will not read books. My youngest son spends most of his free time playing on his X-Box or his laptop. He would not dream of picking up a book. In fact, when I suggested that he might like to read something he countered my suggestion asking if he could just listen to an audiobook instead! The subject matter is one that the X-Box generation are familiar with, fighting zombies seems to be a common theme. And do you think your son will read this particular book? Well, maybe. I gave him a physical copy so that he could be a beta reader. Don’t think he has quite finished it yet but he has read a lot more than I thought he would. The cover is quite striking, did you do that yourself? No, I used a lady called Emmy Ellis at Studioenp. She produces some magnificent covers, and they are amazingly priced. I gave her a few suggestions for imagery and the words, and within 24 hours I had my cover. She emailed me the final versions and would have changed them if they were not what I wanted, but I think they are perfect. Graveyards, zombies, would you class this as a horror? Not really, as I say, it is aimed at young teens. It seems that they are quite hardened to virtual death and destruction, they just hit the reset button and start a new game. I wanted the cover to depict things that might scare, as I would not want someone to pick up the book and not be prepared for some gore and killing. So you want to de-sensitise the reader in advance? Kind of! There is killing in the book, that’s what zombies do! But the people who die are not fully developed characters. They are almost incidental to the story. Some of them don’t even get to speak! This is a departure from your usual style, why the change? I don’t really have a ‘usual style’! My last two books have been music related, though both very different. Before that there was a cookery book, and an adult novel. Next up I am concentrating on horror. Adult horror. I read a lot of Stephen King so I suppose it is inevitable that I would slide into that genre eventually! What events have you got planned for the launch? I will be promoting the book on Ex Pat Radio, I do a Book Show on there every week or so. We are also looking to tie in events for World Book Day, maybe with giveaways in the local schools. There will also be giveaways on the Facebook page, so please visit and Like that! And finally, how do we get hold of a copy? It will be available on Amazon in paperback and Kindle. It should also be available at other online book stores, but that can take a while to filter through. 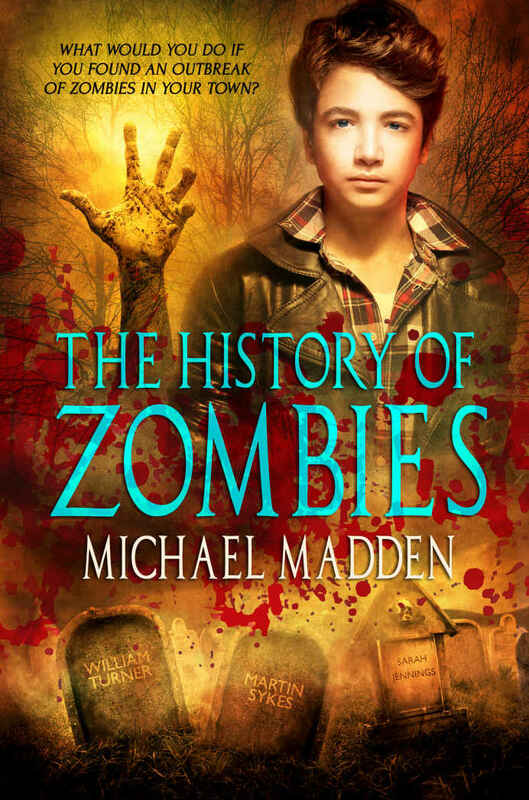 Very pleased with the cover for The History Of Zombies produced by Emmy Ellis at Studioenp.